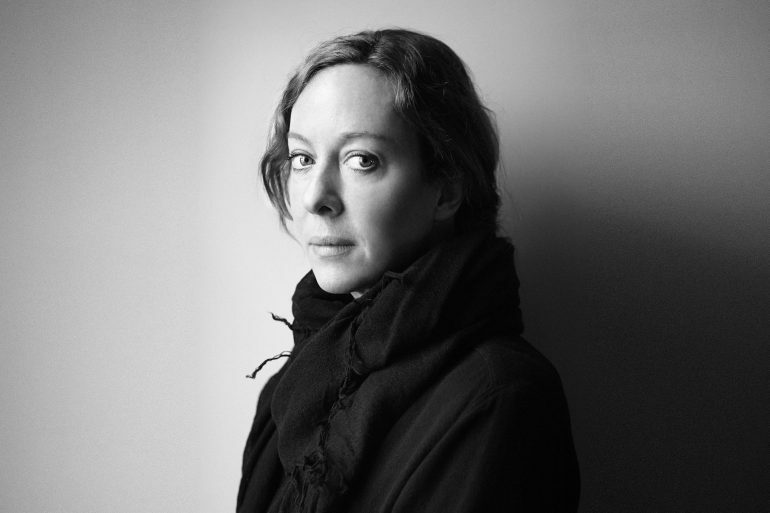 The world moves pretty fast these days but the month of September, between magazine launches, and Sprign collections, moves at light speed. 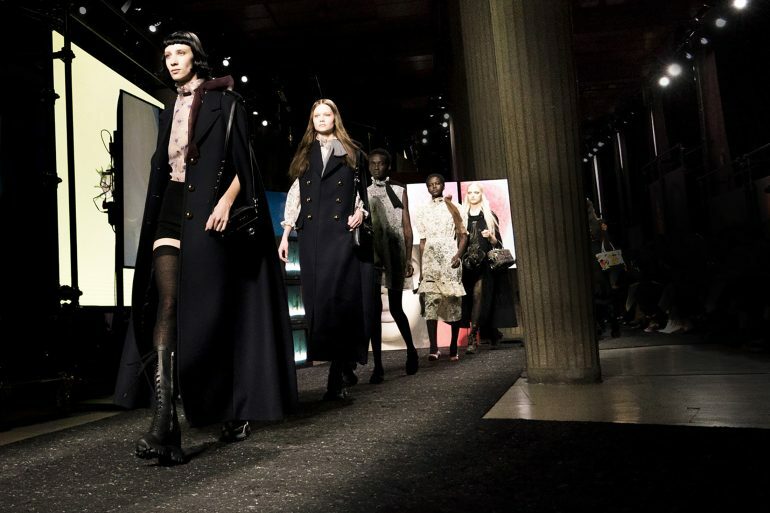 I was struck by how well Riccardo modernized Burberry’s heritage. 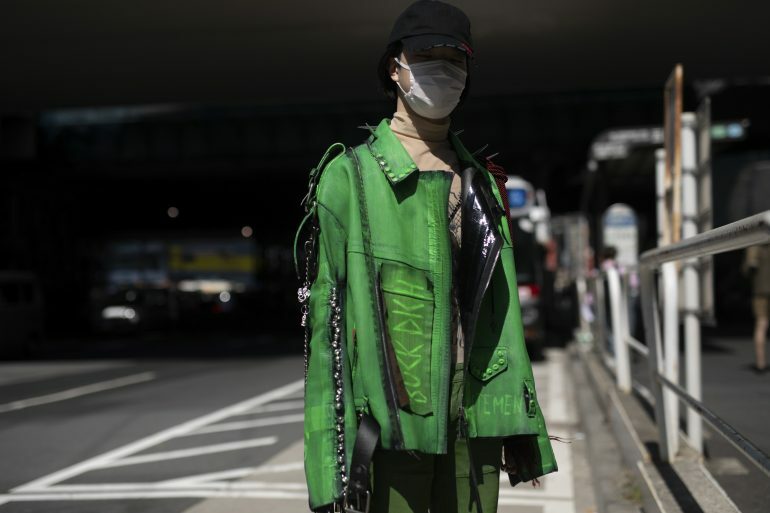 Fast tracking the identity system was one thing, but building a multilayered collection addressing both upper tier and mainstream streetwear with such sophistication is another. 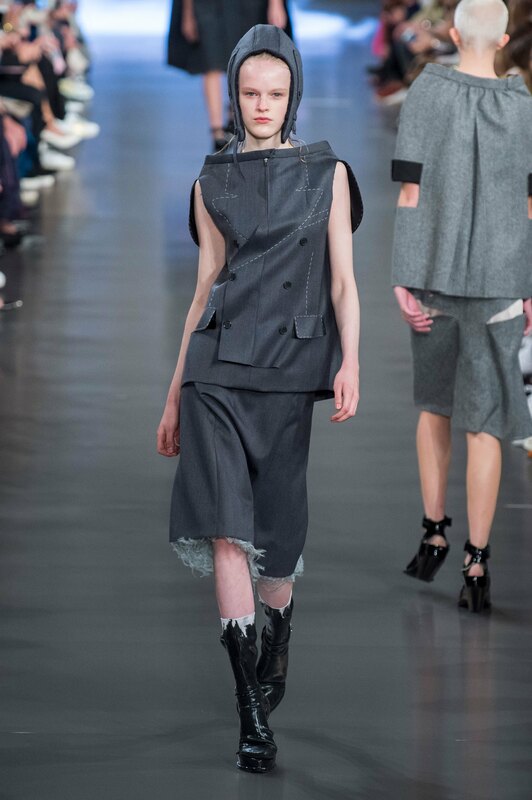 The collection was surprisingly on point, well conceived, British, and modern. 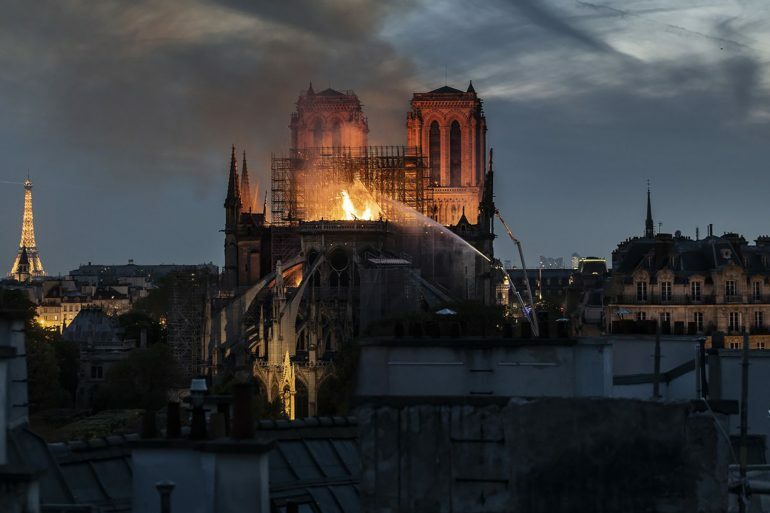 He embraced all of the houses codes and reinvented them. 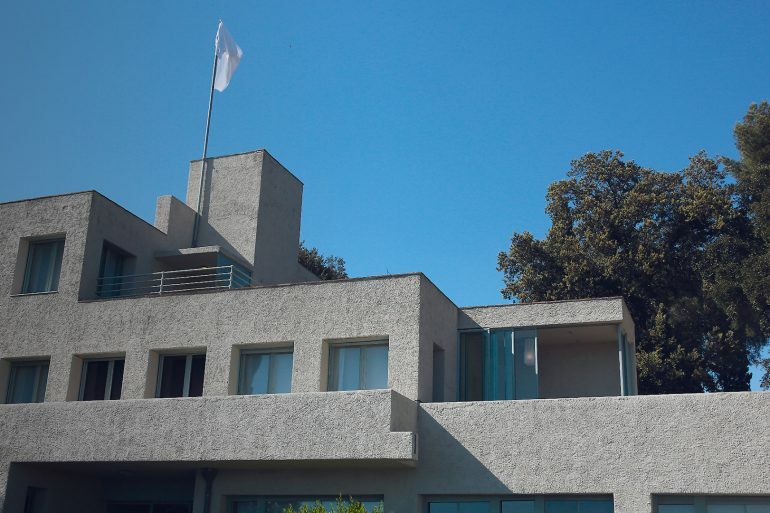 Funny how it took and Italian to make and iconic British house even more quintessential, and eccentrically British. 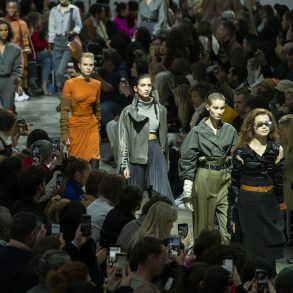 Part of Tisci’s gameplan may have been written after watching a fellow luminary, Raf Simons, take over a foreign design house, Calvin Klein 205W39NYC. 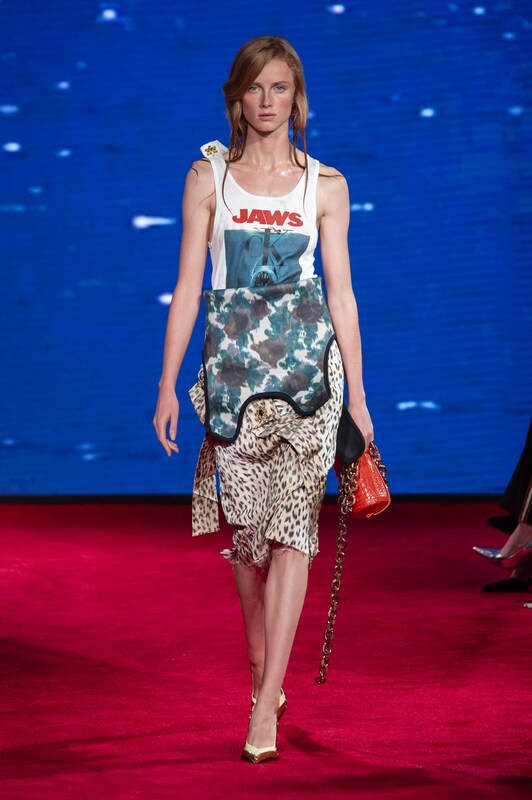 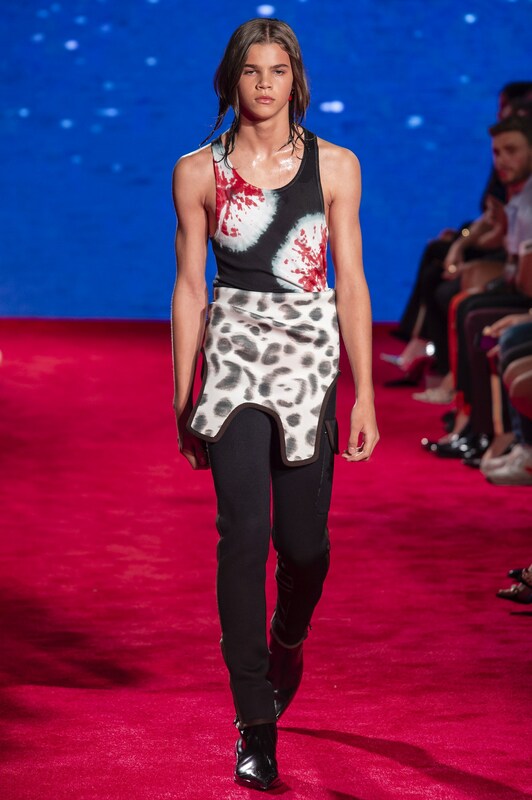 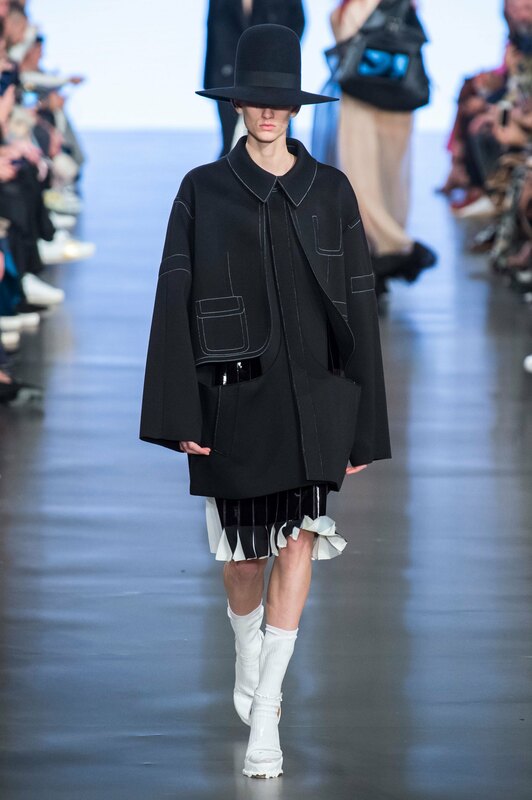 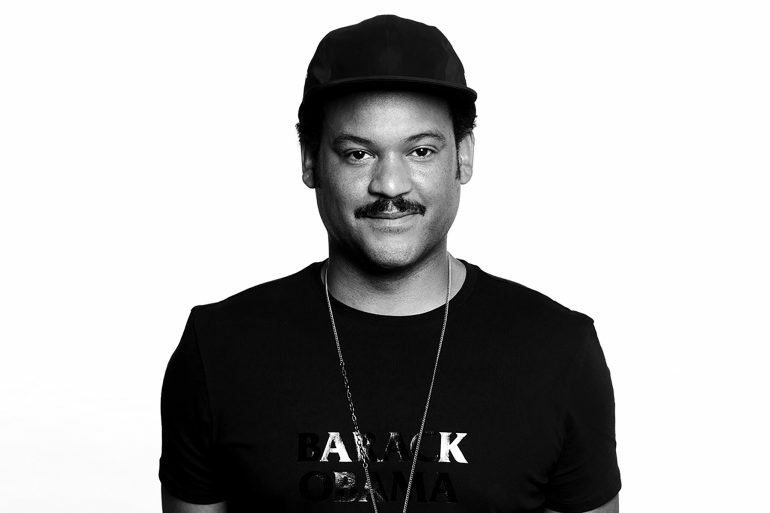 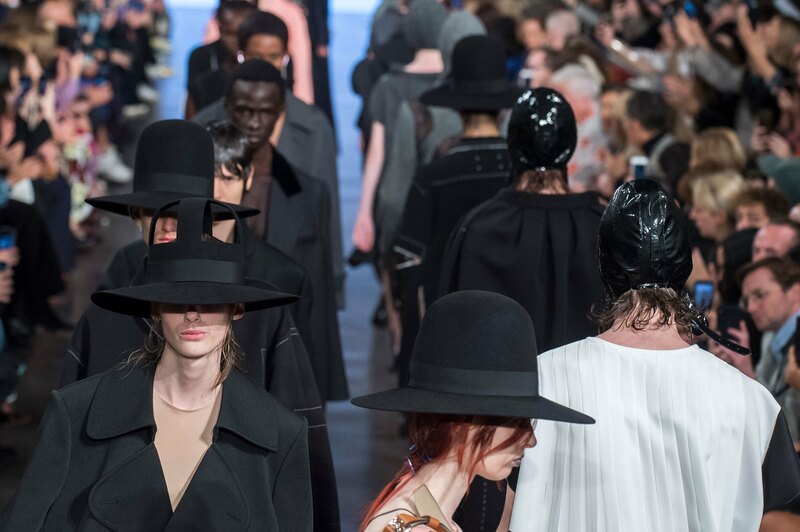 Simons has been pulling at the American Gothic heartstrings of the house bridging art and fashion since arriving at Calvin Klein and this season he again didn’t disappoint while leveraging the blockbuster of Jaws to cut his teeth into The Impression’s Top 10 of the season. 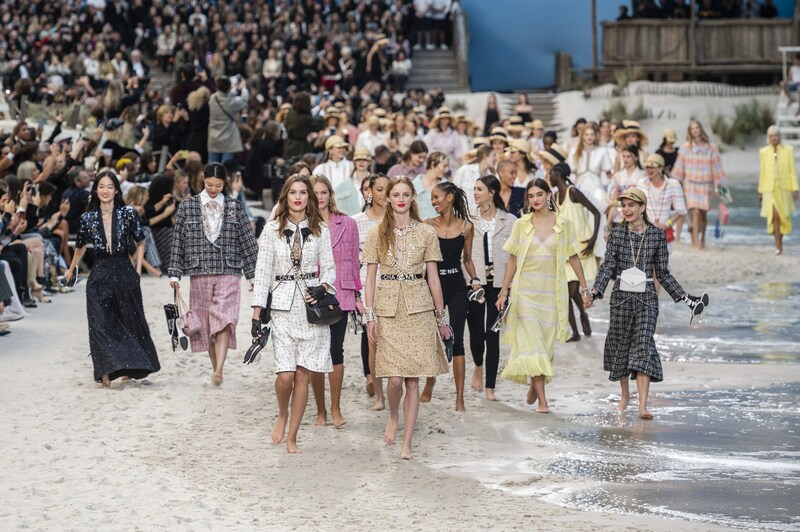 The ocean also played a role in Karl Lagerfeld’s big productions at Chanel where he made waves at the Grand Palais this season building a beach set complete ocean waves, sand, and the sound of gulls. 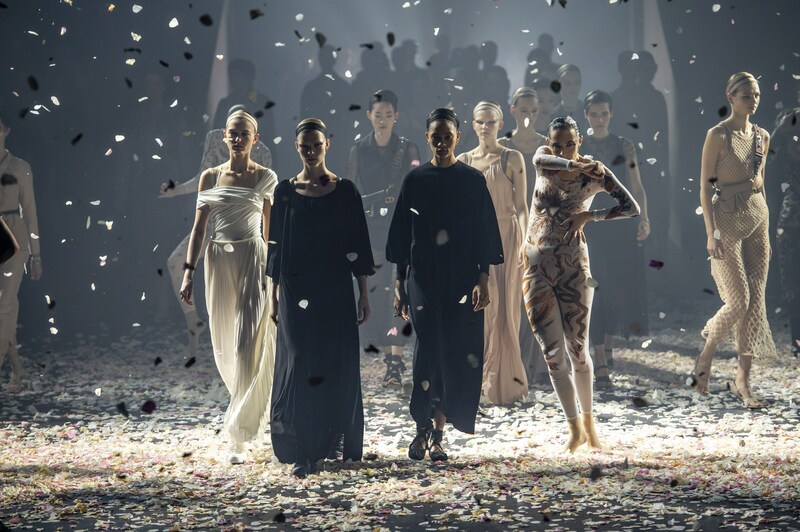 Models strolled through the waves, shoes in hand. 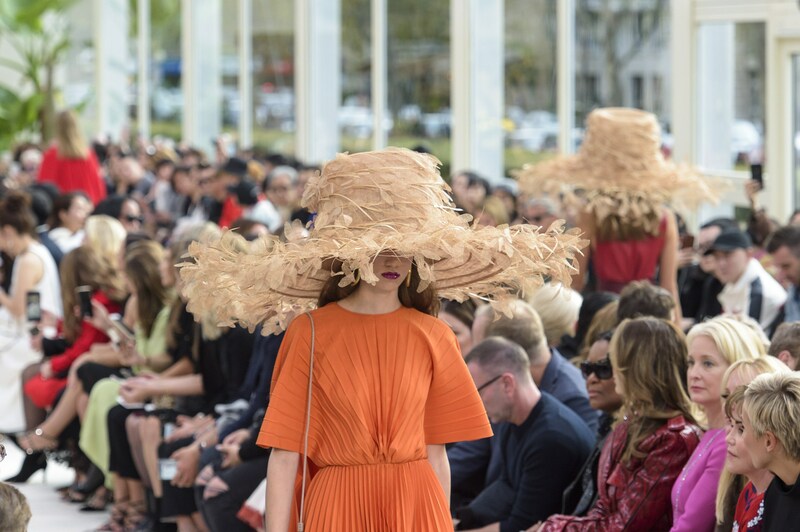 It would be easy in this idyllic setting to loose sight of the collection which was the warmest, most feminine Chanel collection in recent memory, provoking the word ‘lovely’ from our Chief Impressionist. 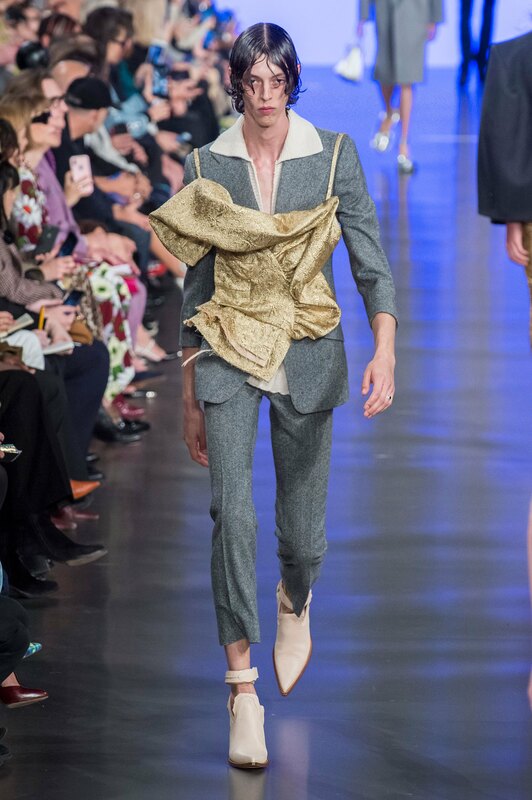 A term he rarely uses. 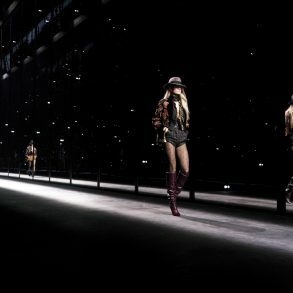 Tom Ford found his footing, on more solid ground than the beach this season, reminding us that Build Ford Tough applies to his strong hand at tailoring, design, and elevated point of view in his best collection of the last 5 years. 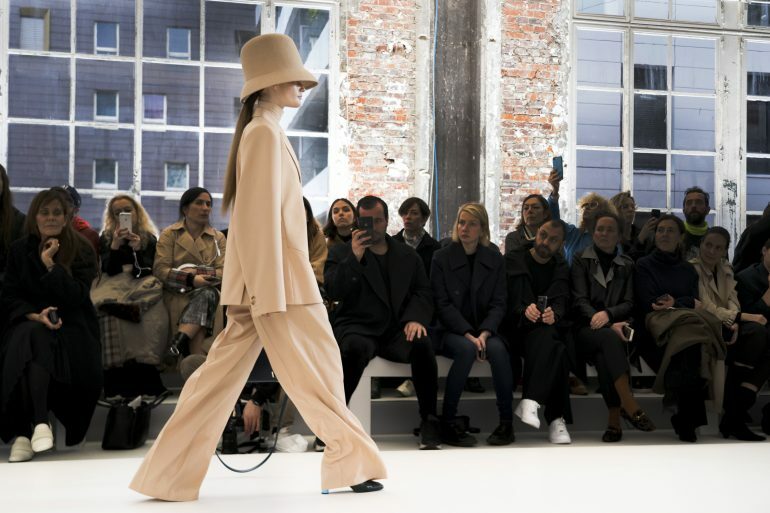 The collection touched on masculinity and the new power suit which suits Ford just fine. 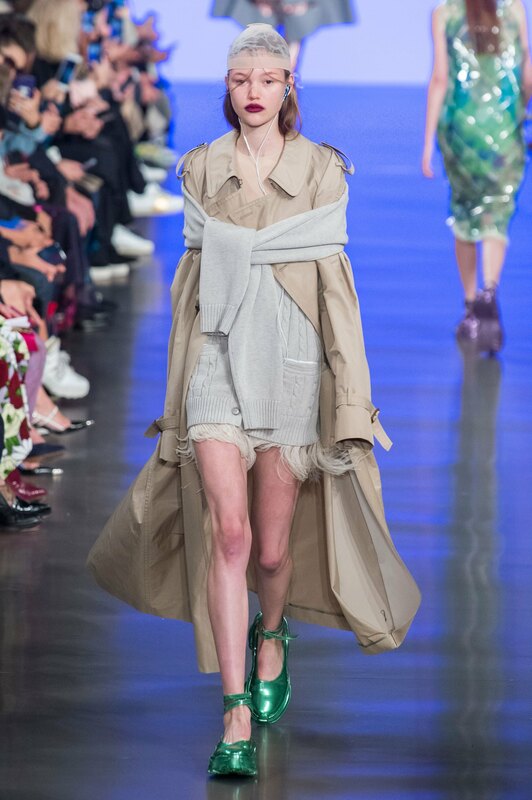 John Galliano too played with the concept of power and suiting in his take on the new rules of gender in the Maison Margiela collection. 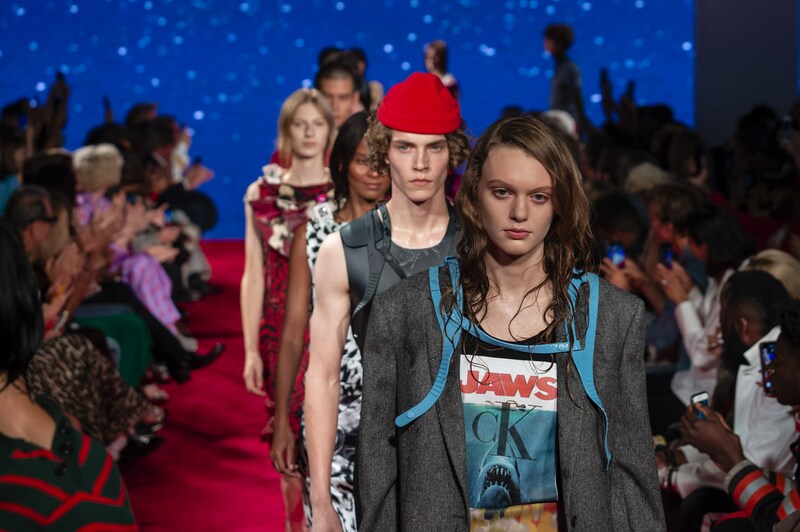 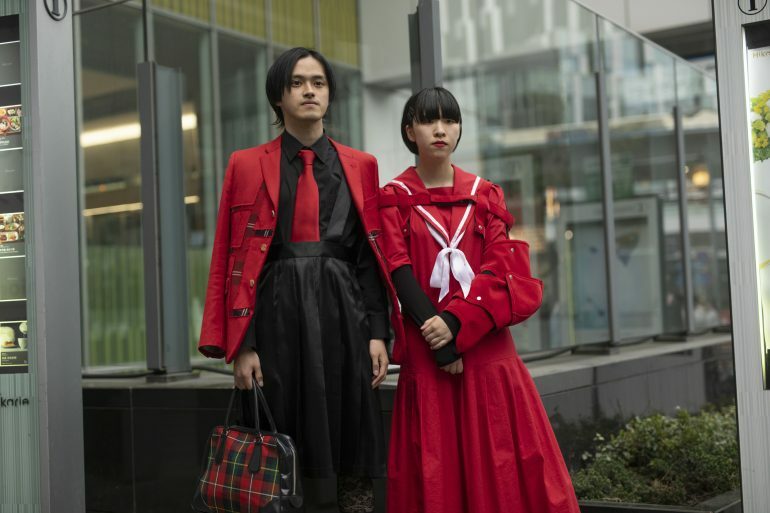 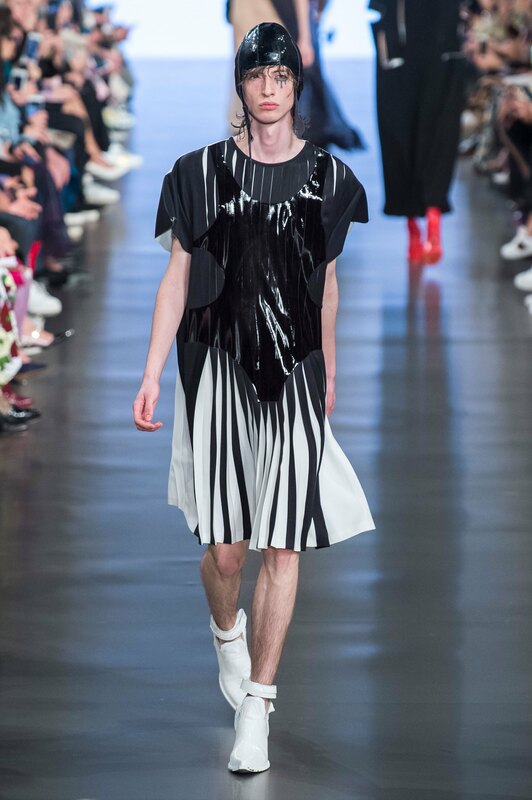 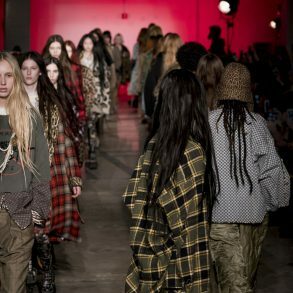 The collection opened with a film by Fabien Baron that trickled onto the screens of accessories carried by the models down the catwalk and eloquently captured the wave of change taking place regarding gender norms. 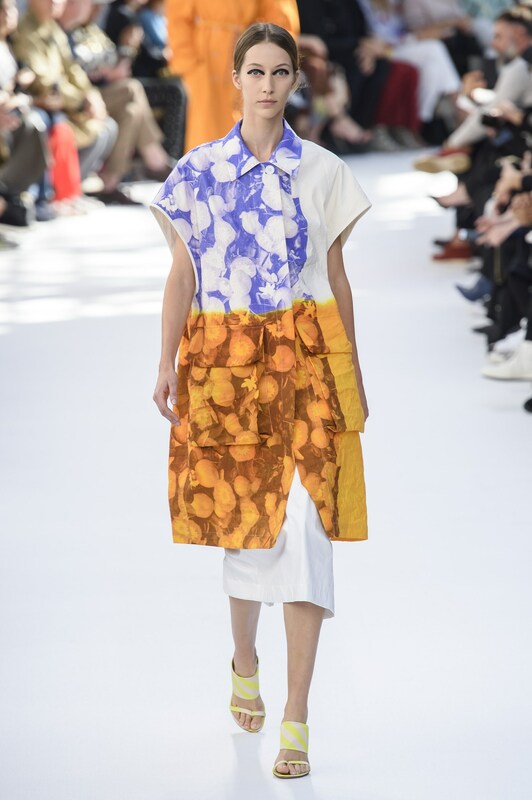 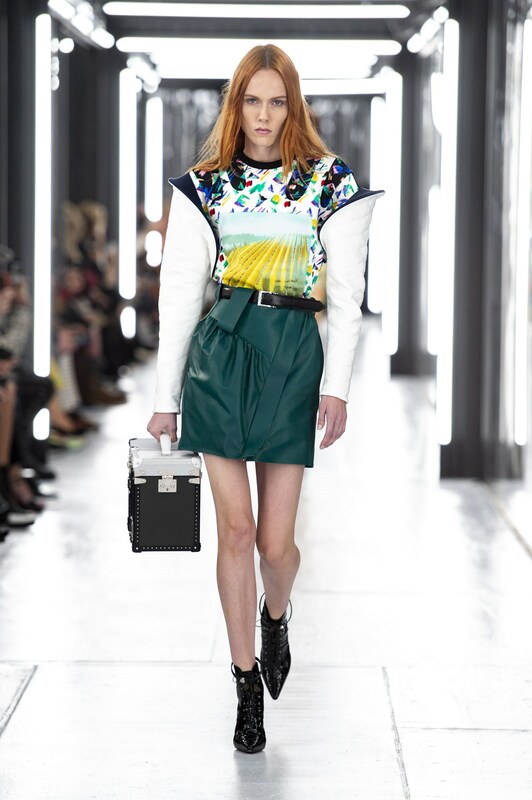 Fresh off his recent sale to Puig, Dries Van Noten delivered a clean, impactful, and fresh take on spring. 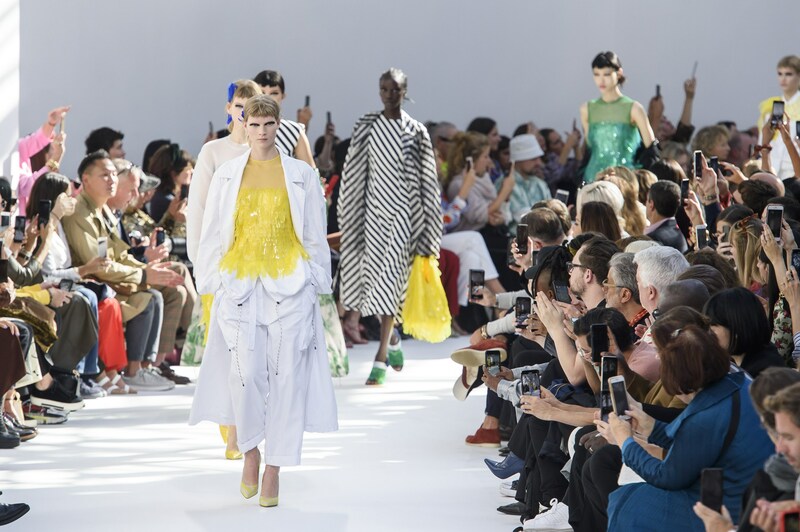 Balancing stark white with bright bust of primary colors, the designer quickly laid to rest any concerns of a parent companies involvement in the designer’s vision. 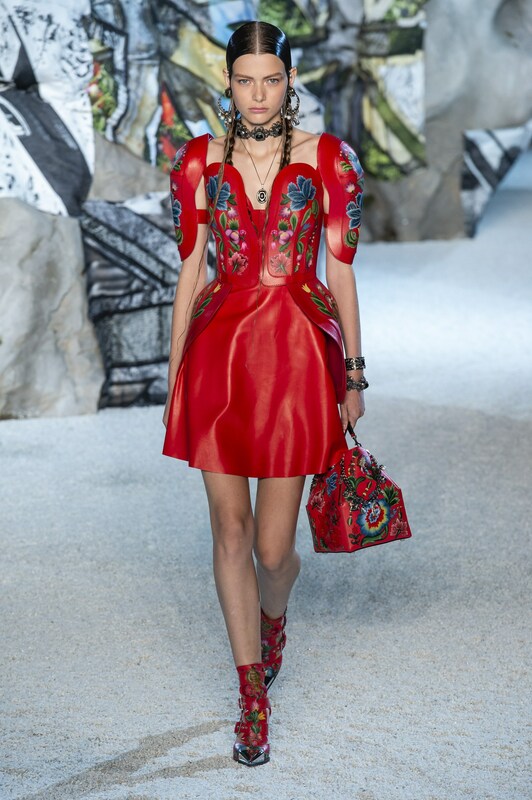 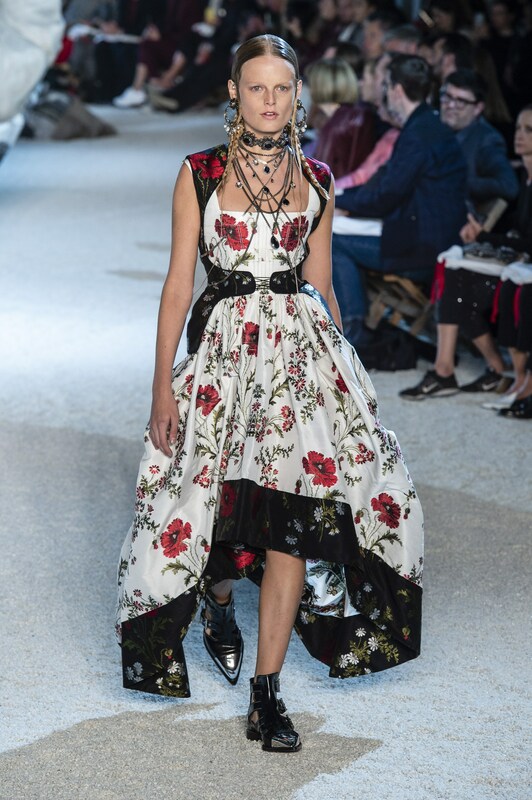 Pierpaolo Piccioli started his Valentino collection with sophisticated and somber tones of black and crimson, to suddenly burst out to one of the best conceived colorful collections of the season. 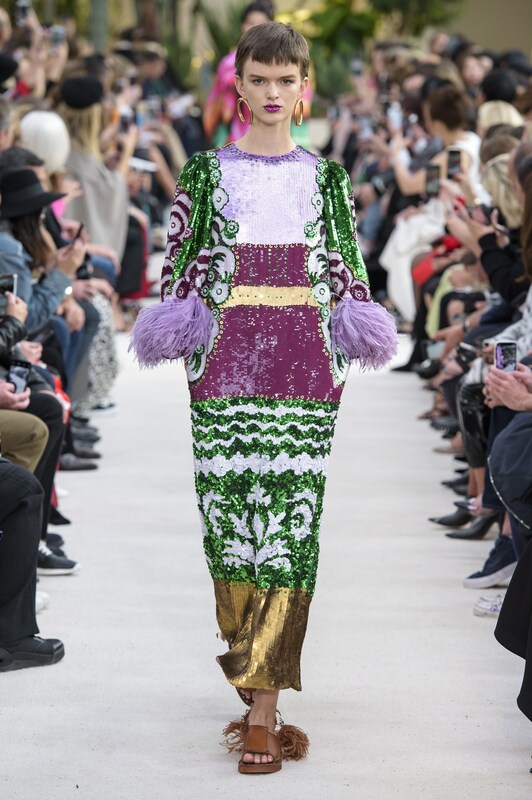 Blending sequins, feathers, tropical patterns, the design matched is desert cactus flower themed setting perfectly resulting in a standing ovation from his supporters. 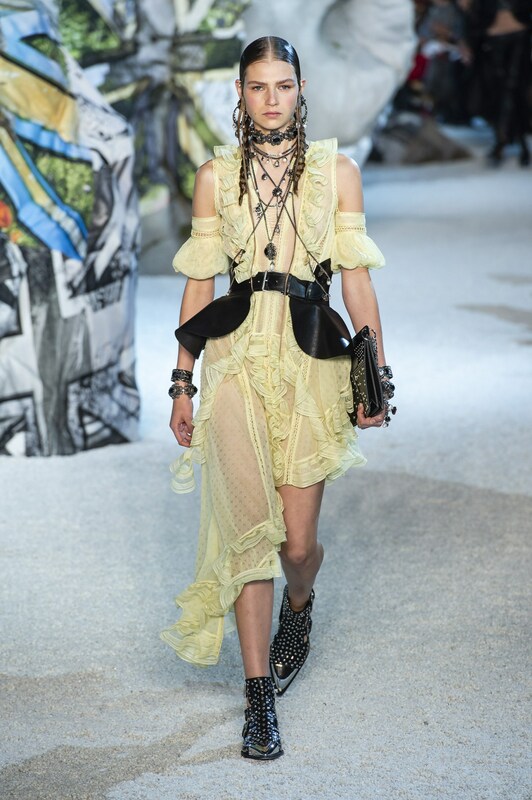 Sarah Burton brought a romantic warrior edge to her Alexander McQueen collection. 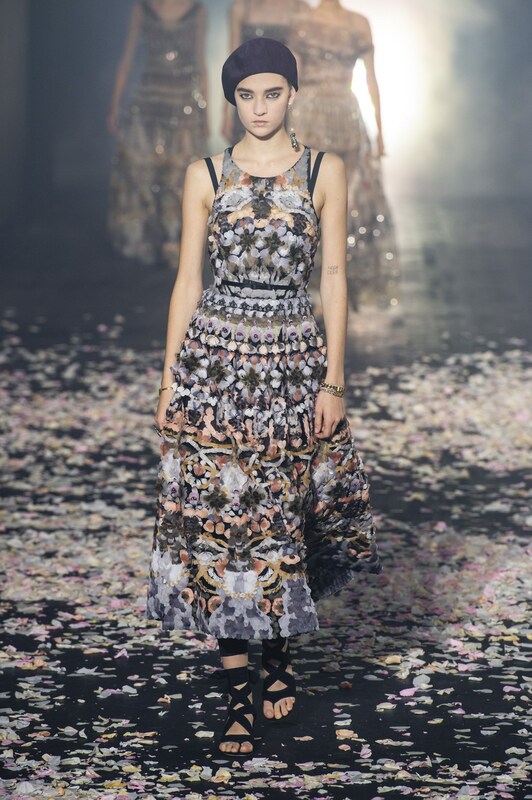 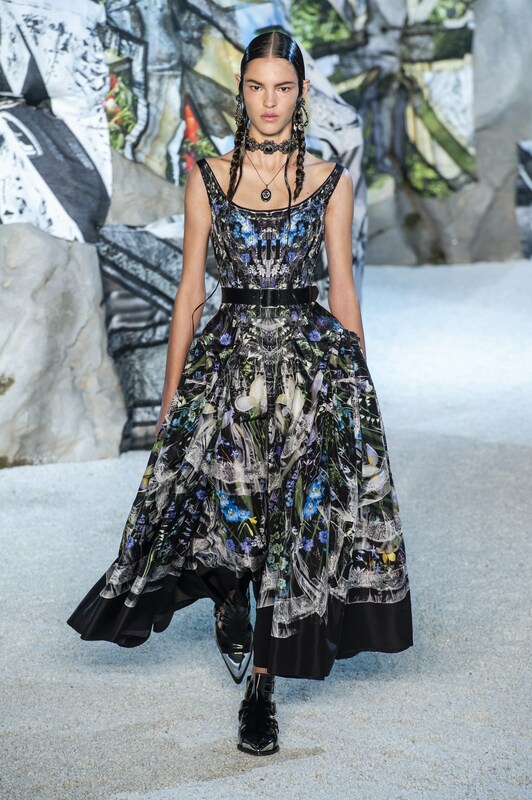 Models wove their wave on set between artistic rock formations, while sporting romantic printed flowing frocks. 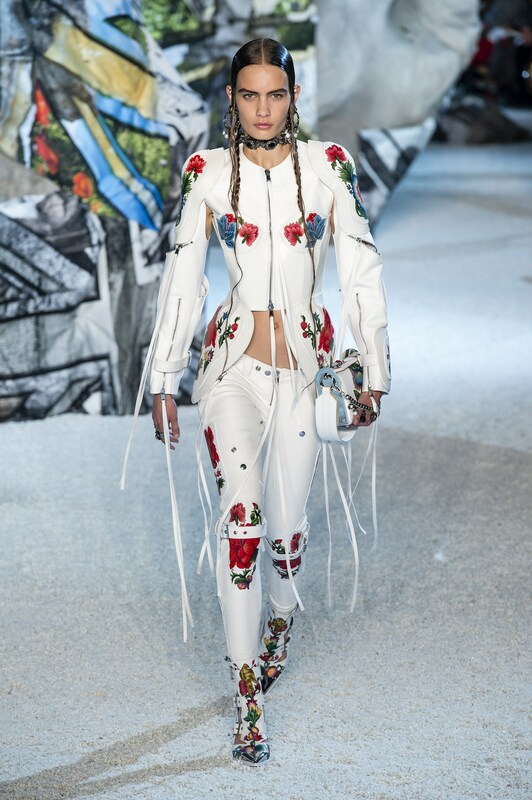 Razor-sharp trouser suits and 3D printing were married with cutouts and silver fringing to give both a sense of strength and a fragility. 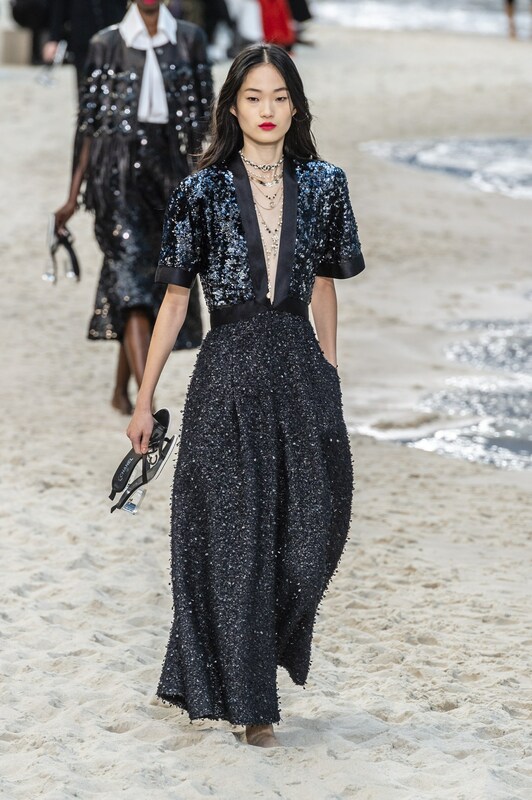 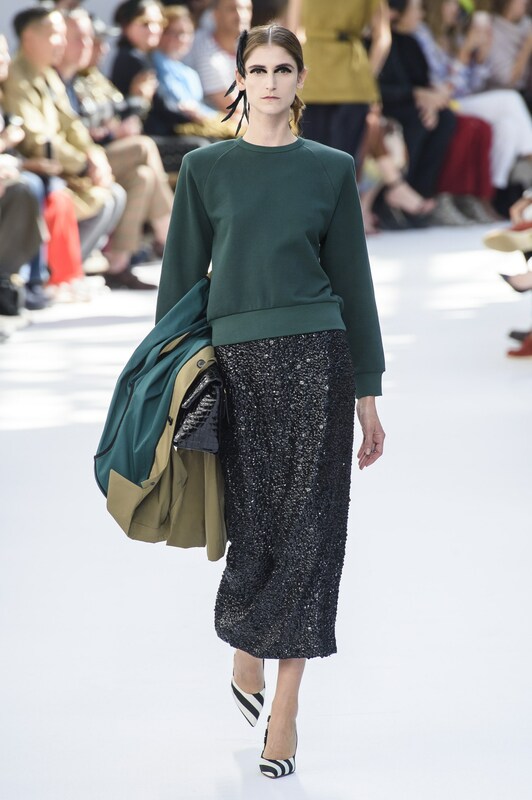 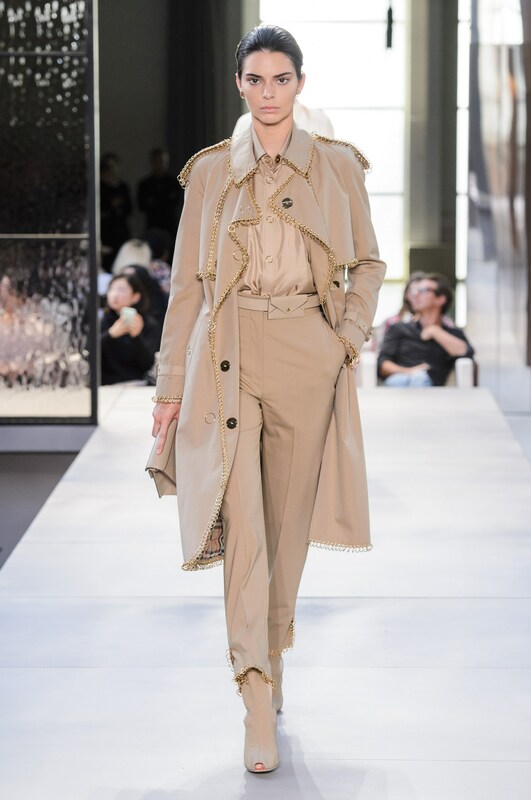 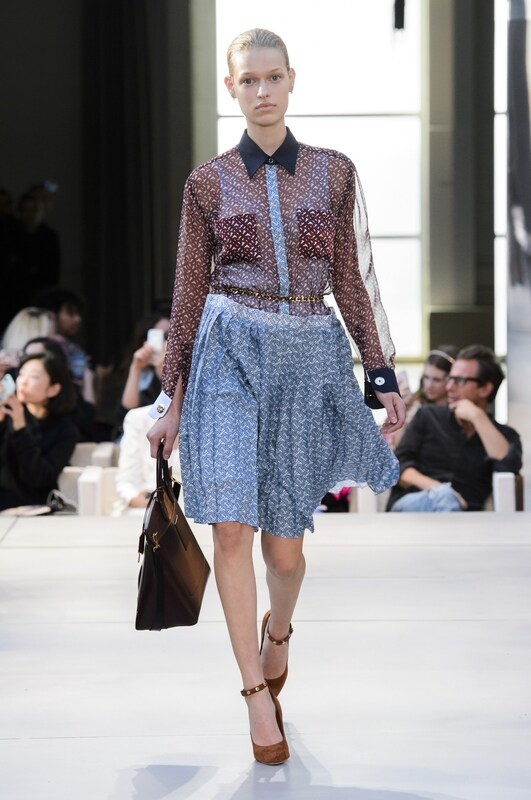 The combination also bode well for Maria Grazia Chiuri with her Christian Dior collection inspired by dance. 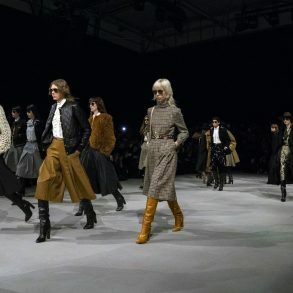 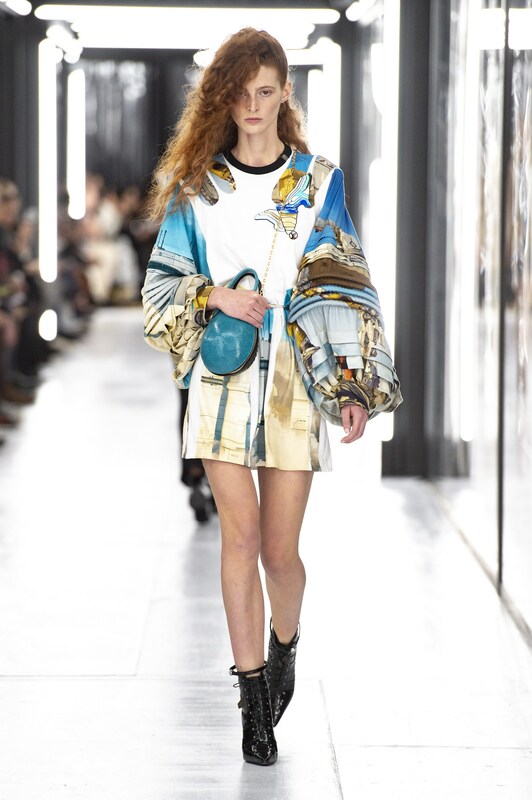 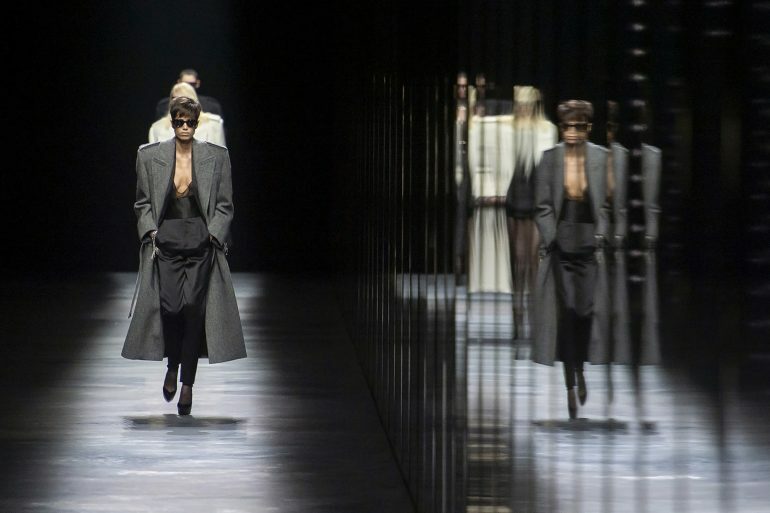 The collection kicked off Paris fashion week setting a high bar, or ballet bar, for other houses to rise to. 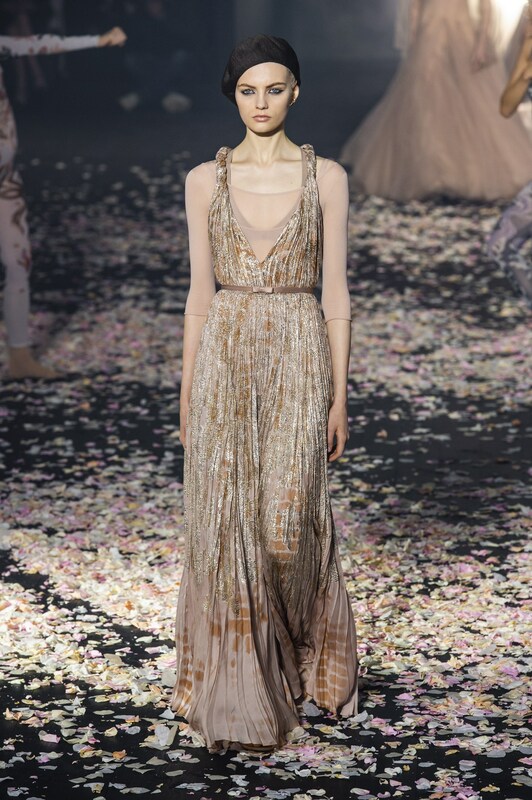 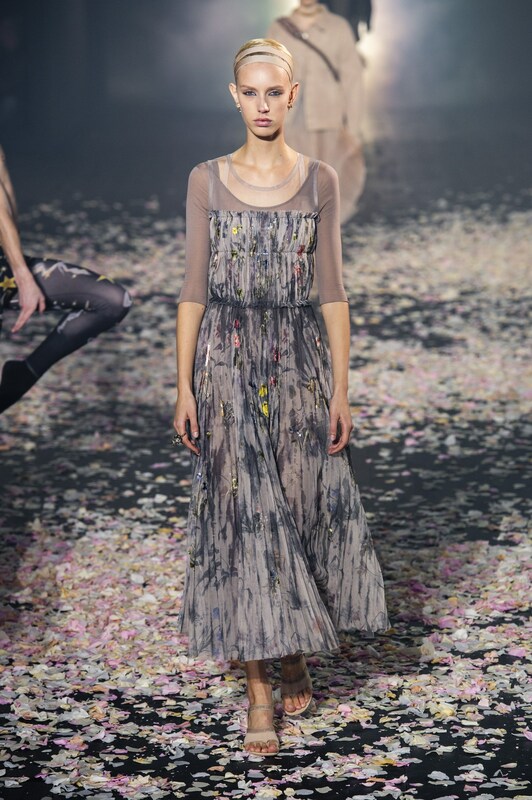 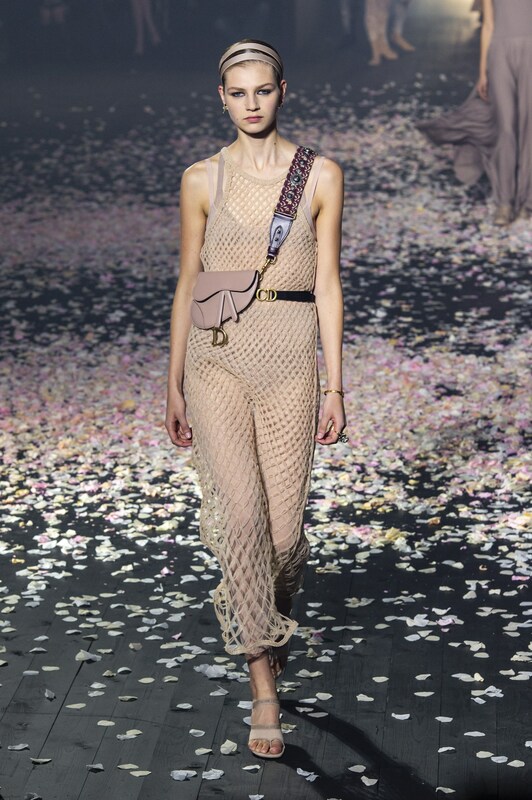 The collection of muted neutrals with feminine flourishes was both dreamy and strong. 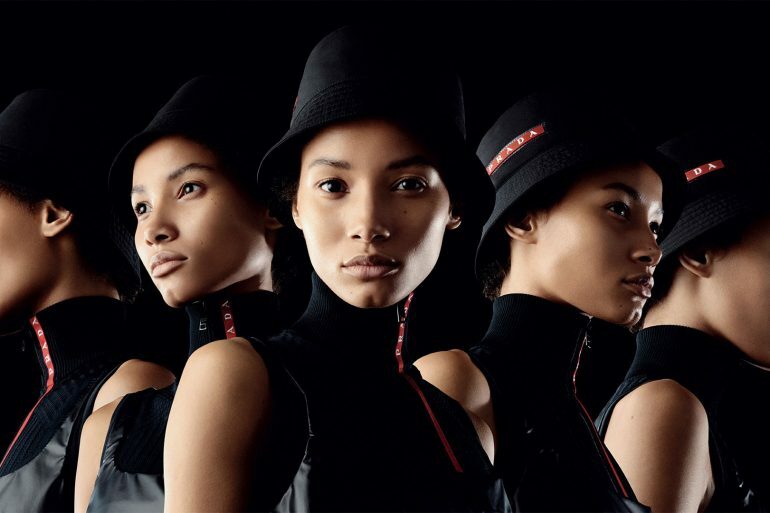 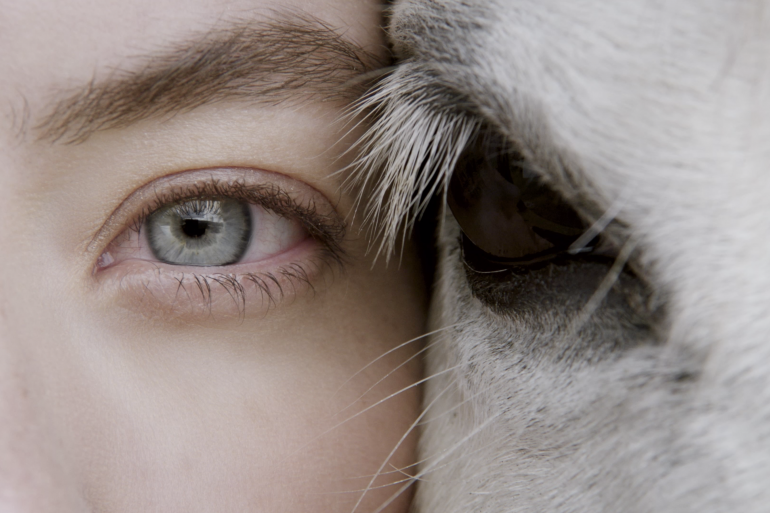 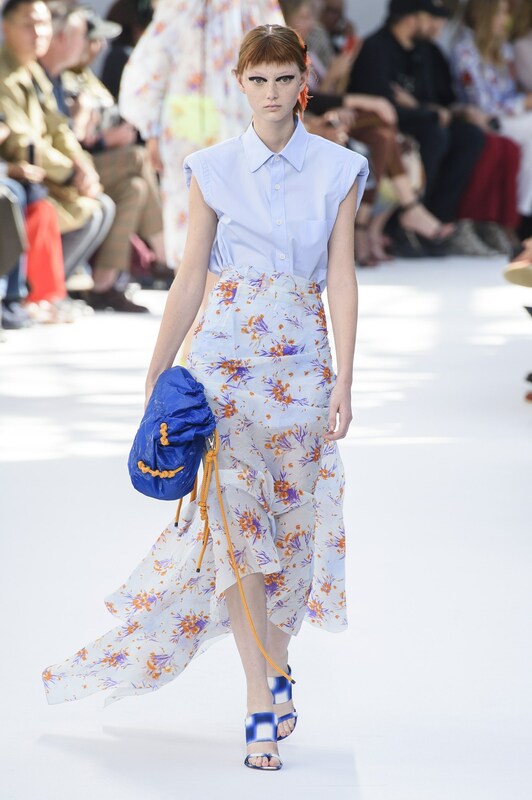 Taking Dior’s new look proportion and giving it a soft hand necessary to be relevant today. 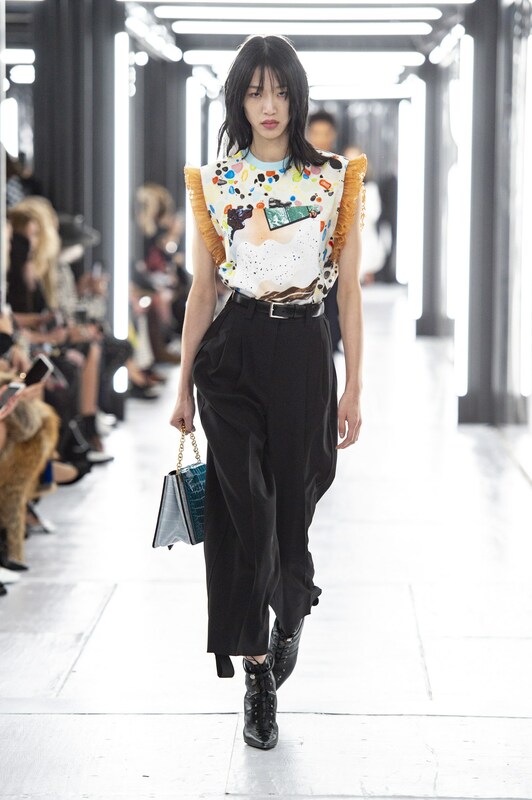 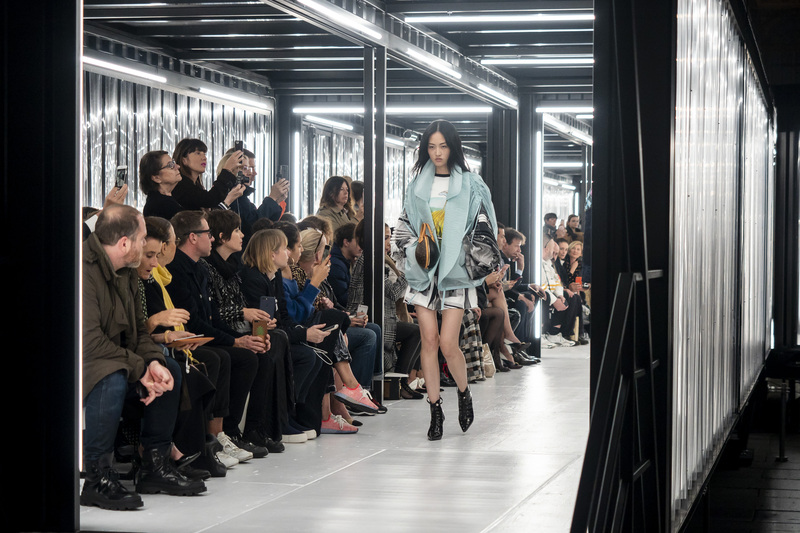 Yesterday, today, and tomorrow were at the core of designer Nicolas Ghesquière’s Louis Vuitton collection which addressed the theme of female empowerment. 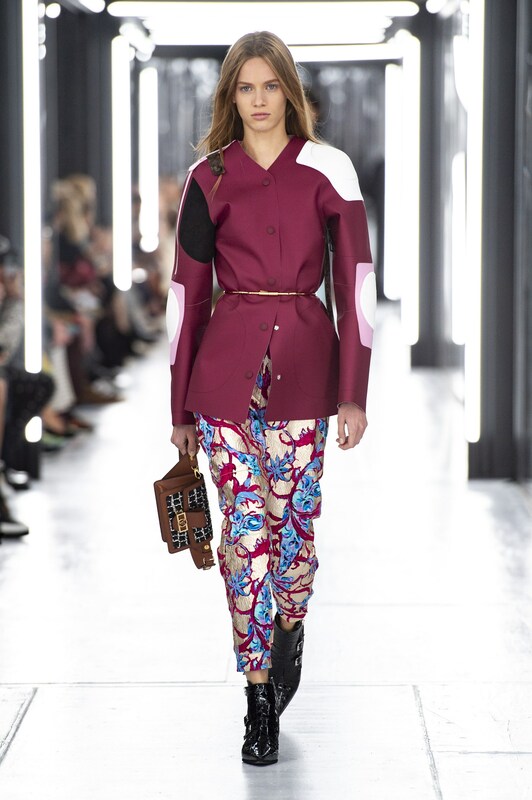 The patterns reminded us of 80’s video games, while the proportions where blends of Renaissance meets space suits. 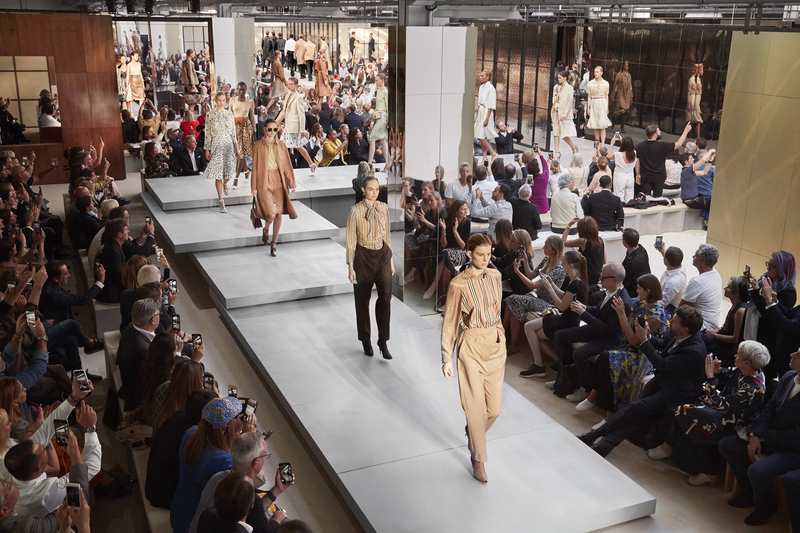 Set at the internal courtyards of the Louvre in a tunnels that would of bode well for Stanley Kubrick’s 2001: A Space Odyssey, the collection was a forward looking statement about how women could dress today. 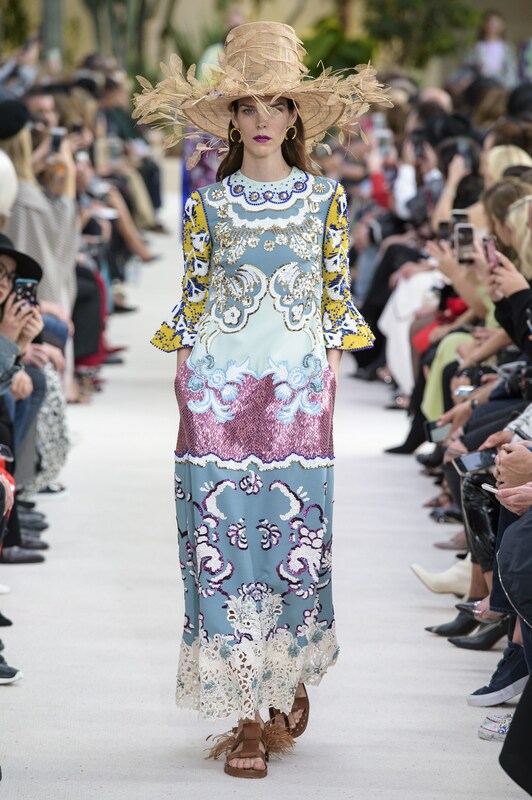 The answer isn’t as simple as one note, which is why this complex collection made Chief Impressionist, Kenneth Richard, top of list. 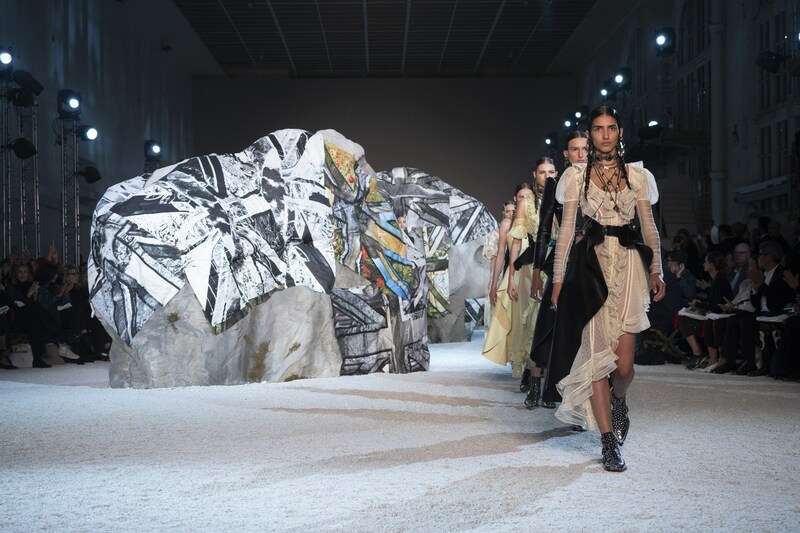 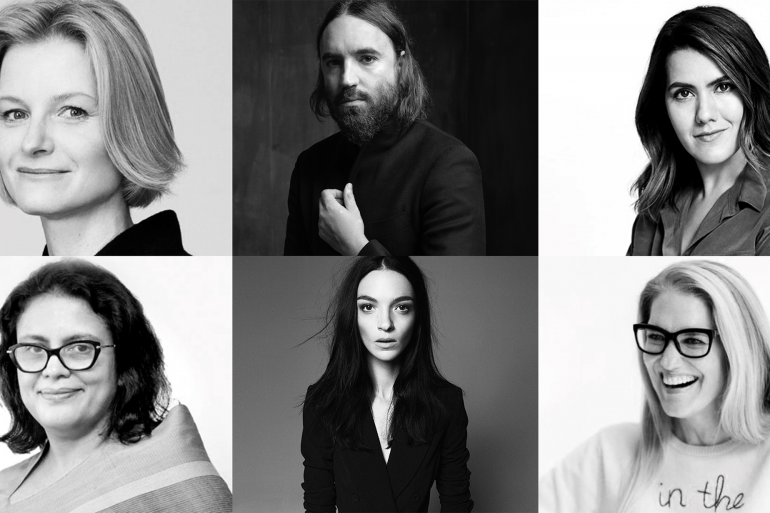 Here are The Impression’s Top 10 Collections for Spring 2019 as chosen by our Chief Impressionist, Kenneth Richard.